This re-issue is an example of when youth and musicality collide in a sublime fashion. Youth and ambition; ambition and youth – they could be the definition of the double-edged sword. Say “youth and ambition” and it conjures up images of fresh faces and glorious visions – prodigies who shook the world with their brilliance, imagination and daring, a Mozart or a Michael Jackson. But if you say “ambition and youth”, it assumes a more negative and world-weary connotation: all precocity and arrogance – and ultimately over-reaching. The worlds of music and sport are littered with the wreckage of such unfulfilled promise. But consider this proposition a little more carefully for a second; and what if we were to concentrate purely on the present, what someone was able to deliver in the here and now of their youth, never mind what they went on to achieve when they “grew up”? 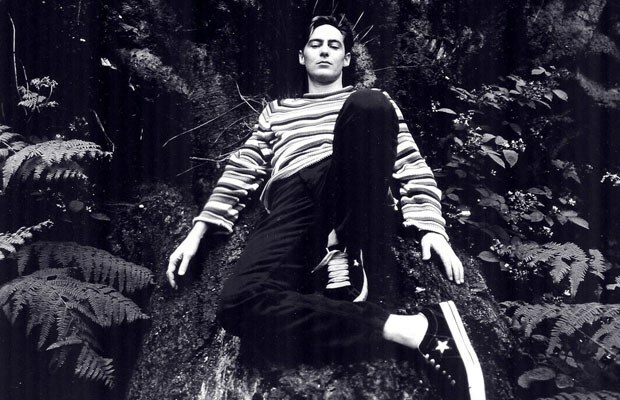 Then let’s take the case of Roddy Frame, the Scots lad who started recording with his band Aztec Camera at the age of 16 and has gone on to carve out a distinctive career as a pop/folk/jazz troubadour – and a fine interpreter of songs – of some renown. The NME could probably devote a whole issue arguing the subject of “Roddy Frame, Genius or Disappointment?” But one thing every single writer would agree on is when Roddy struck full and everlasting gold, on the 1983 Aztec Camera album, High Land Hard Rain, recorded when Frame was still only 19. Its 30th anniversary was passed last year: and, to coincide with the landmark, Roddy played some dates. In addition, a deluxe version of the album is now being released. This is a two-CD package, combining the original edition with a collection of demos, live and radio sessions, and some band tracks not on the original record. This review can’t comment on the second additional CD. But, put simply, it’s a joy to listen to High Land Hard Rain again in 2014. From the infectious (almost samba-like) swing of the opening “Oblivious” (also a single) to the seemingly despondent but ultimately uplifting acoustic closer “Down the Dip”, this record is shot through with moments of class and pure musical celebration. “Oblivious”, which is a showcase of perfect synchronistic parts, also shows that, although Aztec Camera was mainly a solo Roddy Frame vehicle, he did surround himself with some proficient musicians. If there is a theme to High Land Hard Rain, it’s about unrequited and requited love, and the key track lyrically and musically lands square in the middle of the album, the dramatic centrepiece. “We Could Send Letters”, at 5:51, is the longest song on the record, and it feels like the key track in Frame’s eyes. The opening is perfect – golden acoustic chords backed by a punchy descending bass line – and then it just gets better. Clattering drums, angelic voices in the chorus, the most exquisite jazz-inflected acoustic soloing from Roddy which wouldn’t sound out of place on an Bert Jansch record, and the Frame vocals – concerned, urgent, pleading but never desperate – behind a lyric telling his love to hold on. There’s scarce a bum note anywhere on High Land Hard Rain. “Walk Out to Winter” and “Back On Board” both summon the sensation of renewal and optimism forcing though doubt and uncertainty. “Lost Outside the Tunnel” is the sound of a feel-good smokey club trio. “Pillar to Post”, going straight into the chorus, soars from the first note. Even “The Bugle Sounds Again”, which does contain a rather wobbly trumpet solo, makes sense as an inner voice calling just one more time for a stab at love. Those who bought the album first time round may well feel tempted by the goodies on offer in the second disc. 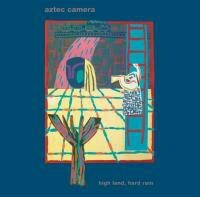 But for those unacquainted with High Land Hard Rain, or know Aztec Camera only from their 1988 hit “Somewhere In My Heart”, you are in for a treat. Class is permanent – whether it was ambitious youth or youthful ambition that drove the making of it, who cares! This album sounded great in 1983, and, for all the singer-songwriters who have sailed under the bridge since, is just as signature in 2014. Roddy Frame was a flawless advert to stay 19 forever. As track two goes, “The Boy Wonders” indeed … .